Learn how envelope tracking, polar modulation, and hybrid designs using these techniques, really work. 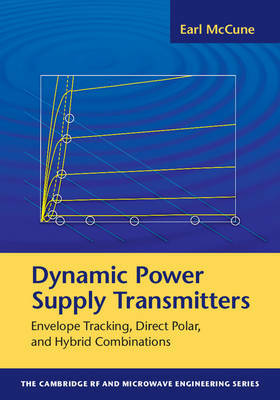 The first physically based and coherent book to bring together a complete overview of such circuit techniques, this is an invaluable resource for practising engineers, researchers and graduate students working on RF power amplifiers and transmitters. Learn how to create more successful designs. • Step-by-step design guidelines and real world case studies show you how to put these techniques into practice • A survey of how various transistor technologies help you to choose which transistor type to use for best results • Detail on the test and measurement of all aspects of these designs explains how to measure what the circuit is actually doing and how to interpret measurement results.